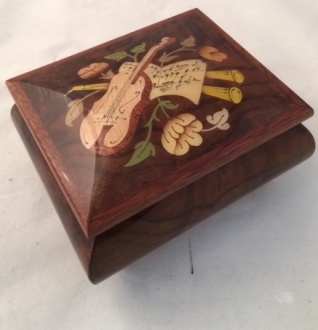 This is another of those almost square shaped music boxes which are inlaid with the images of musical instruments. 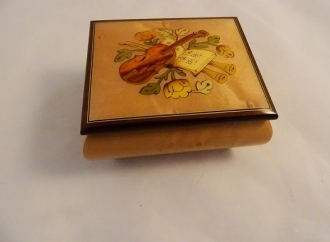 This Sorrento music box has a brown burl wood finish which gives it a highly natural look. 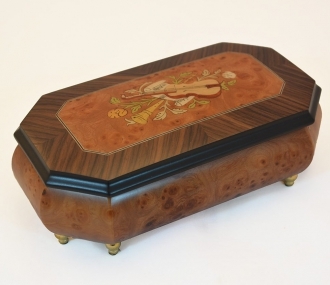 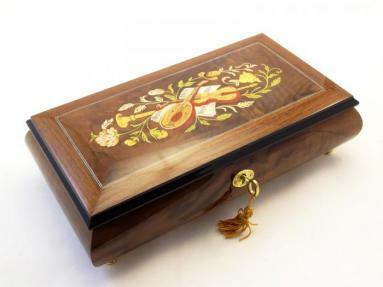 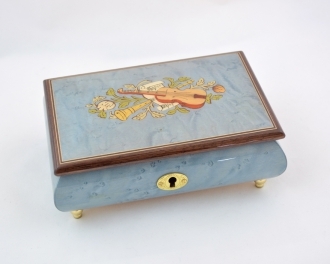 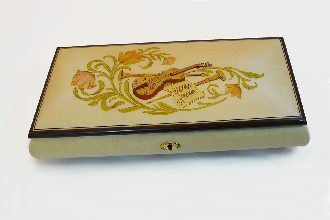 The rectangular lid of this inlay music box is edged with light brown burl design and the musical instruments are inlaid with a lighter color to enhance the contrast. 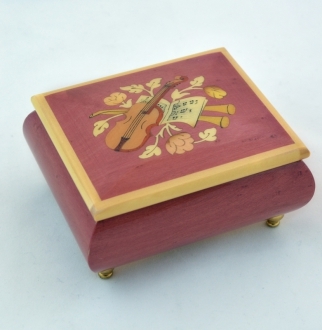 The Sankyo (Japan) 18 note movement of this music box can be ungraded to the Swiss Reuge 18 note movement on an extra $22. This is a magnificent gift item. 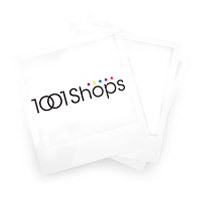 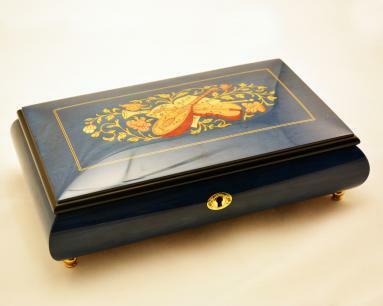 It will be gift-wrapped and sent with a suitable greeting card in case you desire to gift it to someone you love. 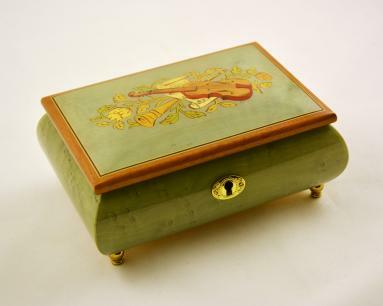 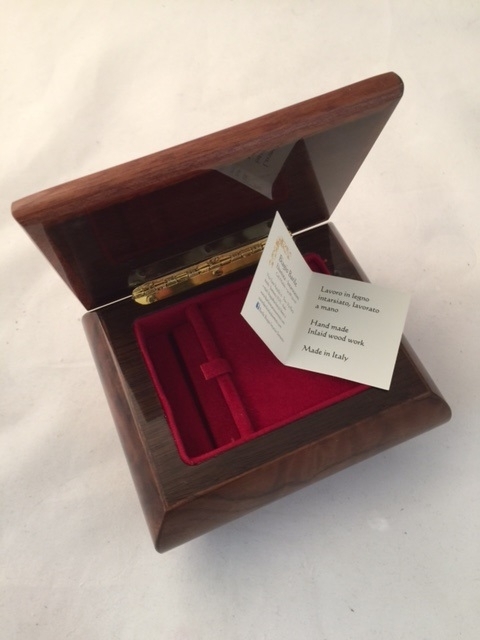 The customized music jewelry box comes with a convenient lock and key.